The forecast was for rain in the afternoon, so my husband and I took a midday paddle on the nearby reservoir. It was very cloudy and cool and not many people were out. We ran across one very loud hawk who seemed unhappy that we were near. On the way back to our launch point, I saw a couple of herons. I was very quiet and calm and they let me get pretty close. 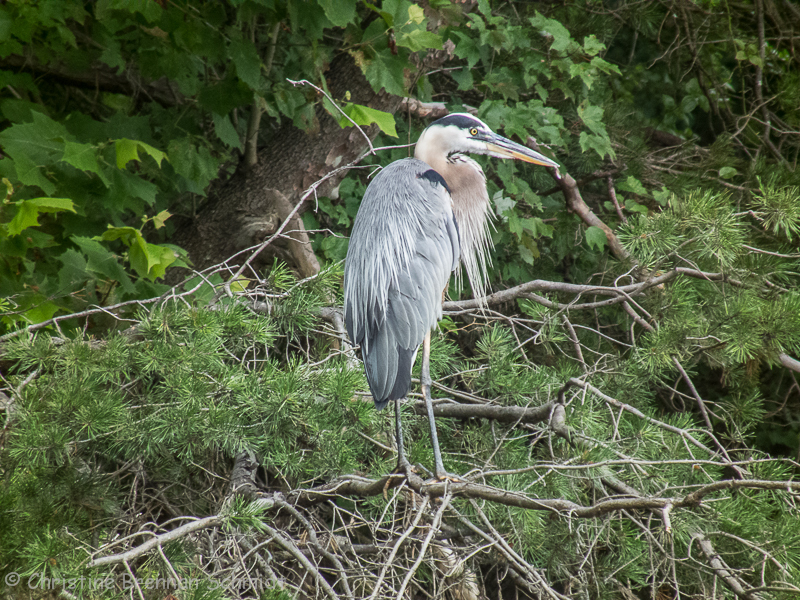 This Great Blue Heron was watching me carefully.